What is the most important asset in any organization? 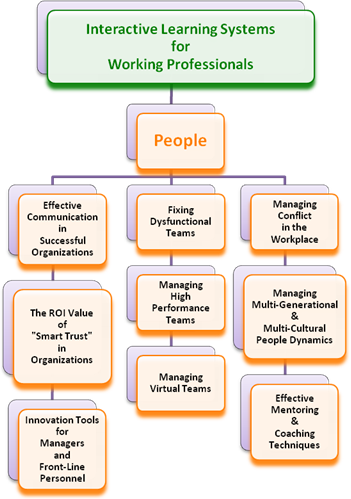 A healthy organization needs Engaged People who Know They are Respected and Valued! Organizations with the ability to sustain success have highly focused strategies and tactics, which center on their people and customers, who are driven to achieve accelerated growth and profitability. This commitment is nurtured through business relationships founded on respect for one another and trust. 60% more likely to have lower turnover. 66% more likely to have higher than average employee and customer loyalty. 58% more likely to have above average productivity. 57% more likely to report higher profitability. In our global marketplace, dealing with various generations and cultural diversities is often a challenge. Successful organizations realize this fact and this reality as an opportunity. These enlightened enterprises continuously work to develop training, compensation, management, and leadership resources and tools to harness the potential benefits, which a culturally diverse work force composed of different generations offers. The People Key to Success is the First Element that People * Leadership * Process Solutions addresses, when assisting organizations with self-enlightenment through the utilization of our People Assessment Tool. We invite you to take a sample assessment of the People Dynamics realities within your organization by going to the Assessment Tools “link” in this website and clicking on assessmenttools@plpsolutions.com to request further information relative to either a personal assessment or an organizational / departmental assessment. A member of our experienced and professional assessment team will contact you with further information. You will receive an analysis of the “findings” and “recommendations” on how to proceed forward with the continuous improvement of the People Component in today’s challenging and ever changing business environment. To access further information relative to People Development Curriculum, please contact us at peoplecurriculum@plpsolutions.com for details relative to the syllabus for each People Development Interactive Learning Systems courses as shown below.